Blog Anniversary Archives - Do You Speak Gossip?Do You Speak Gossip? 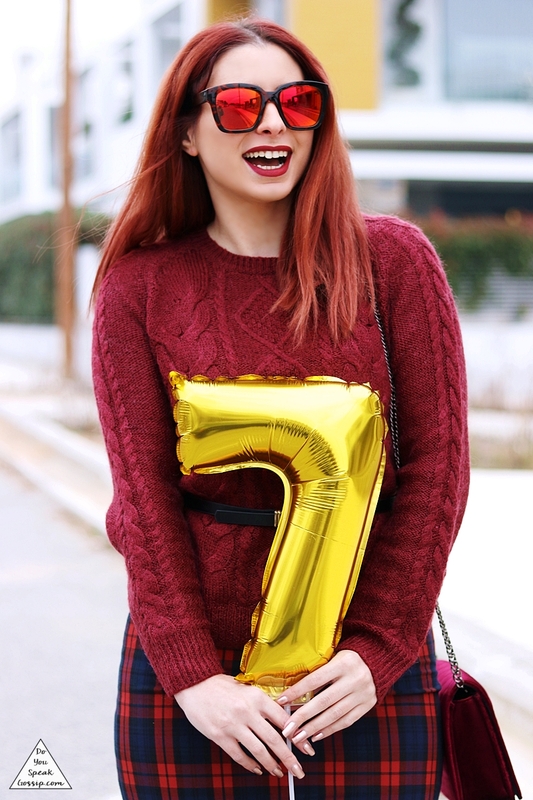 As promised, here’s the full outfit of the day we celebrated my blog’s anniversary with a cake. 4 years ago, I wrote my first post on this blog, and without putting too much thought on it, I became a blogger. I told you many times before, that I treat my blog like my business, but at the same time I see it as my child. It’s something that I’m really passionate and proud about. So naturally I had to celebrate its “birthday” and dress up in a proper way! Here’s the outfit of that day. Simple, two-color, ladylike chic, like my signature style! I hadn’t worn this dress in a while so I thought it was a good opportunity to do so. I hope you like the look. Don’t forget to take part on my blog’s new giveaway.